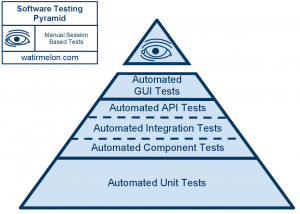 As generally acknowledged testing is an important part of the software development process. Tests should be applied during each phase of the software development process from developer tests to acceptance tests. In software engineering comprehensive and automated test suits will secure the quality of software and can provide a safety net for regression and incompatibility changes. In Mule ESB integration projects these same issues arise. Components used in Mule flows, the flows themselves and the integration of flows in a system context need to be tested thoroughly. This article is the first one in a series of articles about testing Mule ESB projects on all levels. It is focusing on the smallest components in a Mule project which are tested with unit and functional tests. Before we dive into the topic we will take a look at the testing context. Ideally testing of software projects is built bottom up. Starting with a large test case base of automated unit tests for the smallest components which make up the whole application together. Going up through architecture layers the number of test cases decreases for larger components because they are compositions of the already tested components. 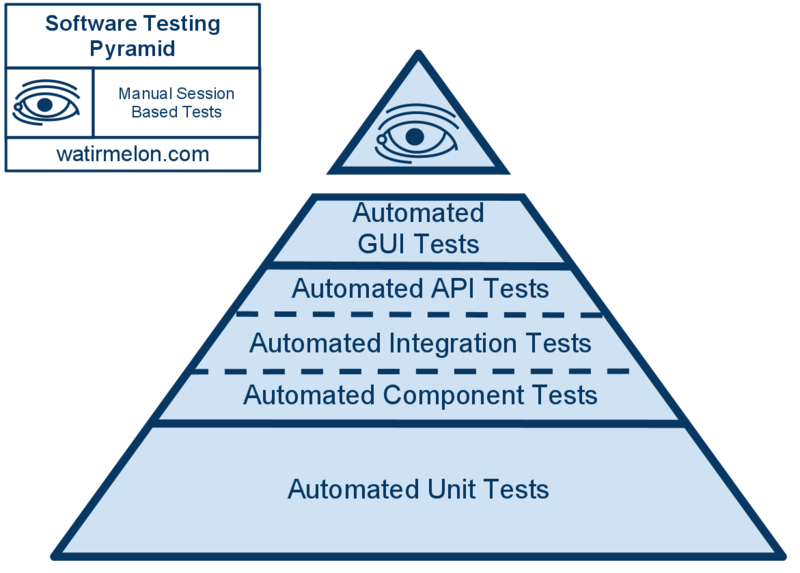 Reaching finally the top of the pyramid where manual supervision or manual tests make up the top of the pyramid testing the application as a whole . And in general all the Spring beans that a Mule application will use. Typically in a multi module project these beans are part of a dependency and are tested therefore separately in the dependency built. When functionality of custom classes requires a Mule context the Mule Framework provides a Test Compability Kit (TCK) for testing extensions and customizations . For each Mule component type there is an abstract parent class which is derived from org.mule.tck.junit4.AbstractMuleTestCase. They are located in mule-core-3.5.2-tests.jar for Mule version 3.5.2. Components tested with a TCK test case ensure that the common behavior of the component is compatible with the Mule framework. Using a TCK test case allows the developer to concentrate on writing tests for specific behavior of their component. Where testing of a method in the Component API cannot be tested by the TCK test case, the test cases provides an abstract method for the test, ensuring the developer tests all areas of the component. The TCK provides a default test model that is a simple set of test classes. The developer doesn’t need to worry about writing new test classes for their test cases each time. E.g. the Mule lifecycle of a component is automatically tested. When it comes to testing the interaction of components between each other in sub flows or “simple” flows functional tests are the recommended way of testing . Because Mule ESB is light weight and easily embeddable in tests the use of the org.mule.tck.junit4.FunctionalTestCase class from the TCK is recommended to test parts or whole flows. This is done by creating a unit test which is derived from this class which will provide an embeddable Mule instance with a Mule context to perform functional tests of these Mule flows. Overwriting the protected String getConfigFiles() method provides the test case the required mule config and spring config files. We recommend to split the production xml description and provide test xml configuration in a separat XML file which is only used in specific tests. This is a simple example how flows can be tested without mocking or changing the tests internally. Mule provides a way to add <test:component/> components in a flow for tests which provides mocking and test functionality. We do not prefer this way because the flow description will be mingled with test information. We recommend to use for such cases the MUnit library which is described in the next blog article. Configurations and flows can be tested in isolation from each other which will provide a cleaner separation of tests and reduce the size of each test case. Bugs can be identified this way more focused because they can be localized in explicit test cases. It is not desired to retest Mule standard components because it can be assumed they are already tested thoroughly. Therefore only certain paths and components of flows created by the developers are required for testing. Test cases need to provide an own test infrastructure which is preferably made out of in memory infrastructure components e.g. VM as a transport, ActiveMQ for JMS or H2 as a database. This is necessary because the production environment can not always be provided automated or embedded for a unit test due to license, resource or performance reasons. Reuse between tests e.g. of the in memory infrastructure can be increased by providing the configuration only once for all test cases. We gave in this blog article an introduction into the first steps in testing Mule applications. Starting by describing how on a lowest architectural layer components and (sub) flows of a Mule application can be tested and which benefit it yields. We described for that purpose classic unit tests with JUnit in the Mule context TCK framework and the functional tests for the TCK. These tests can be found in single module Mule applications or in libraries which contain components and sub flows which are used in multi module Mule applications.